I love back to school bulletin boards. They provide the perfect opportunity for teachers to get to know their new students, while showcasing them in all their “awesomeness” to rest of our school community. Many teachers like to have their Back to School bulletin boards up and running by the first day of school. I get it (as I’m a bit of a type A teacher myself). However, I think waiting a day or two, so that your students can collaborate on your first project is well worth the wait. Of course we want our boards to be cute and beautifully designed (as teachers, that type of artistic creation is part of our natural talent). However, “cuteness” is certainly not enough (especially considering today’s challenging standard). We elementary school teachers need to continually find ways to incorporate rigor into our students daily lives (even right out of the gate with out first bulletin board). Here is a couple of my favorite Back to School boards. I love this Bulletin board project because it not only highlights the beauty of your diverse student population but also provides countless learning opportunities that are Social Studies related. It’s really simple too! Just give your kiddos the mini-research based handout on the first day of school and have them bring back the completed sheet a day or two later, along with a picture of themselves. • Students who have ancestors from many places around the world can research the country that they relate to the most. 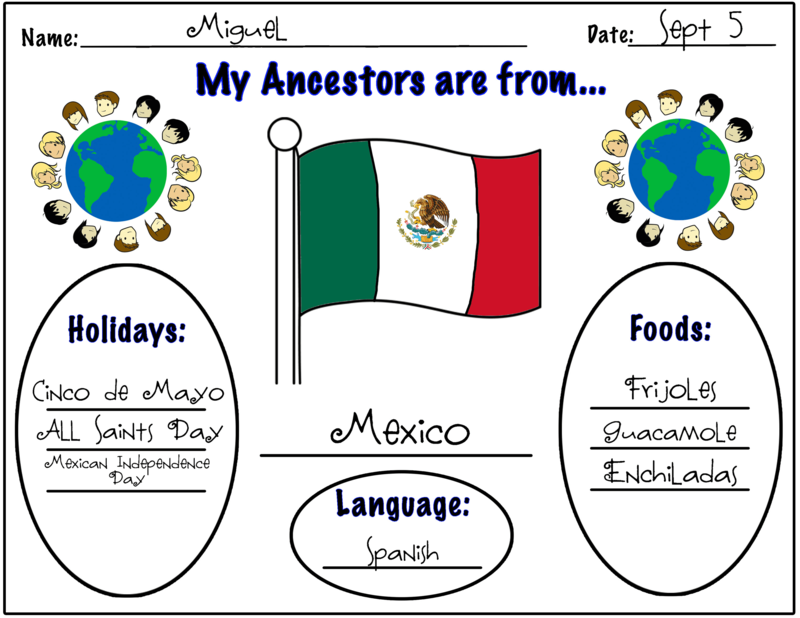 • Many students whose parents are first generation Americans practice the 3 aspects of this sheet and can answer the questions outright. Other students may need to conduct some simple research, or interview their parents or other family members for answers. • All students should be encouraged to look up a picture of the flag so they can model its appearance on this sheet. Part of the charm of the bulletin board is seeing the many different flags of the world. • A picture of the world is included in the product. 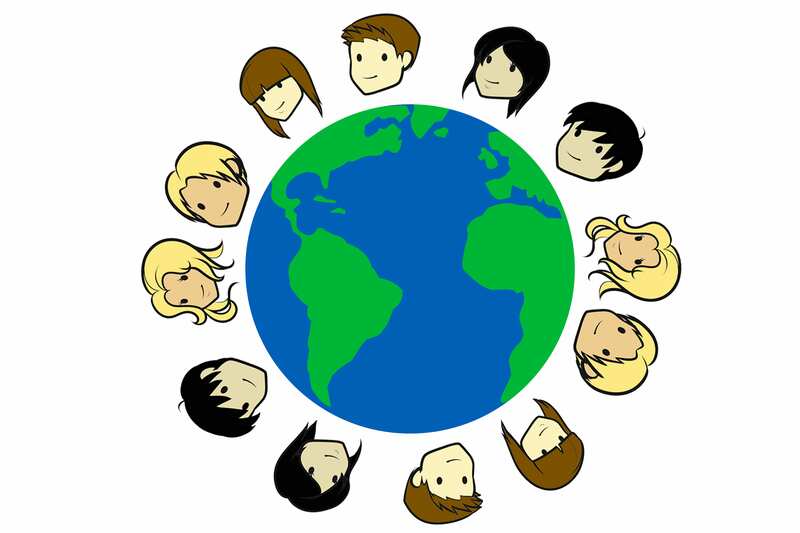 Simply print the picture and staple your student’s faces around the perimeter of the circular globe. 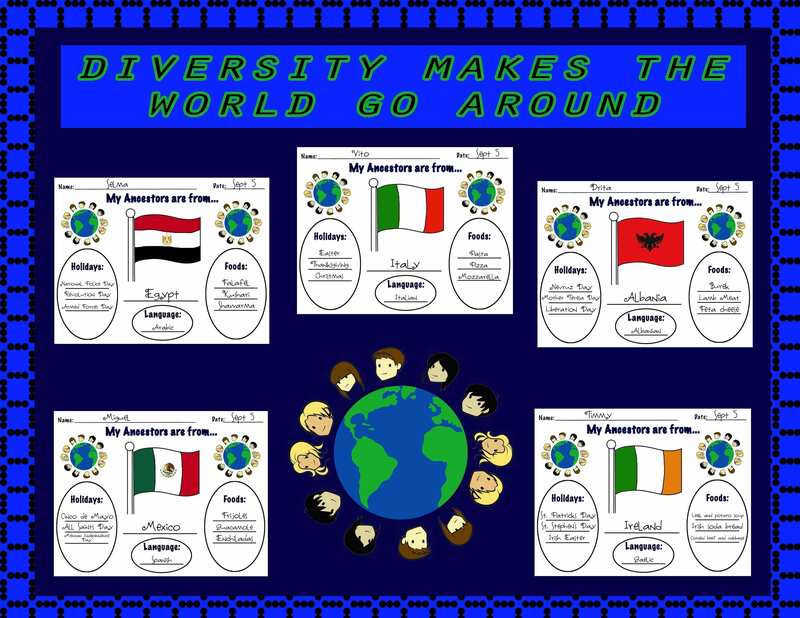 • The “Diversity Makes the World Go Around” banner is also included with the product. Just print and staple! • This project lends itself to discussion about diversity, ancestry, culture, and customs. 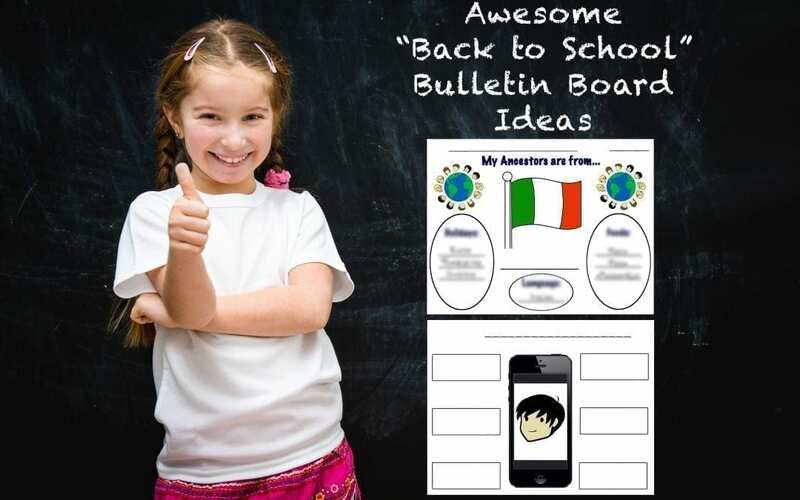 Your students will definitely internalize these concepts with this activity, and you will have a pretty clever “Back to School” Bulletin Board in the process. The kiddos love this super trendy display, and the creation of this board is super simple. • I like to have the students complete the written part of the handout in class on the first day. 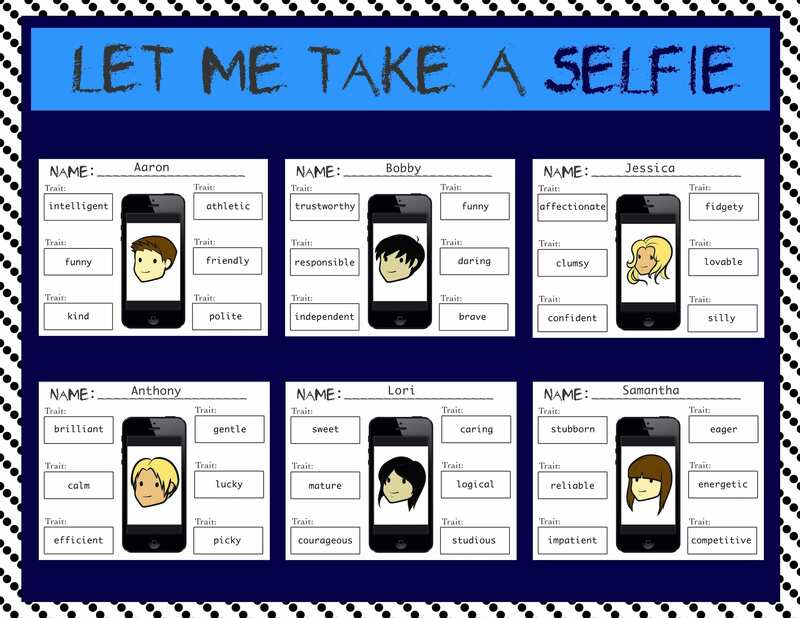 • For homework, they simply need to bring in a photo of themselves to glue or tape onto their iPhone screens. • The more advanced sheet gets the kiddos acquainted (or reacquainted) with the concept of providing evidence to back up their claims. • The “Let Me Take a Selfie” banner is included with this product! Just print and staple! 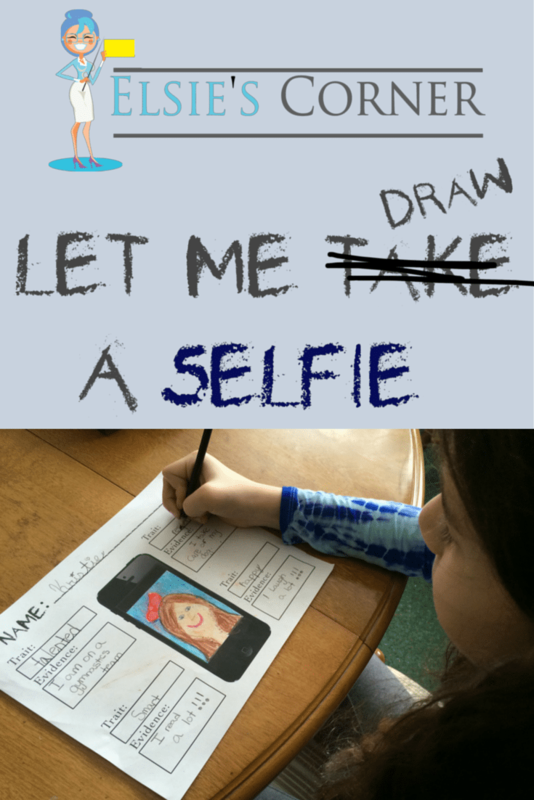 • Having students draw their pictures is cute alternative to this project. If you opt for that choice, consider crossing out the word “take” and replacing it with the word “draw”.